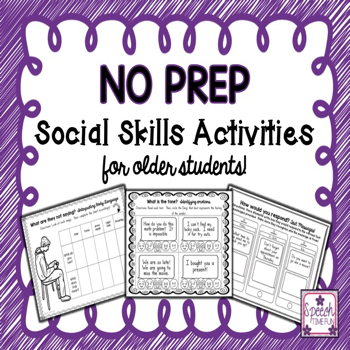 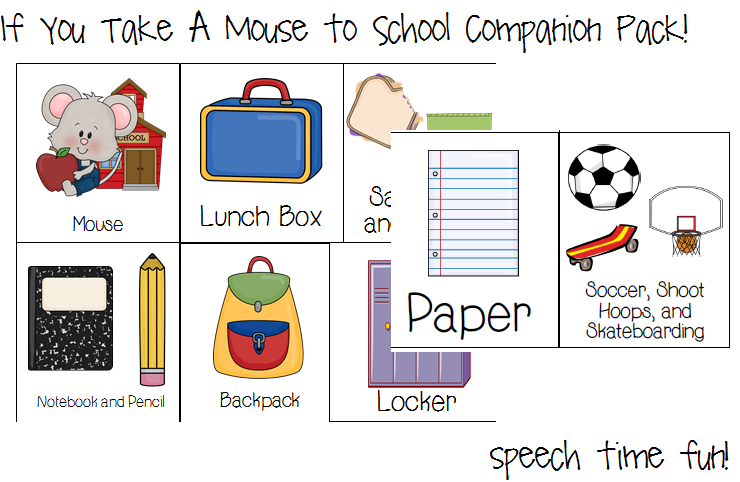 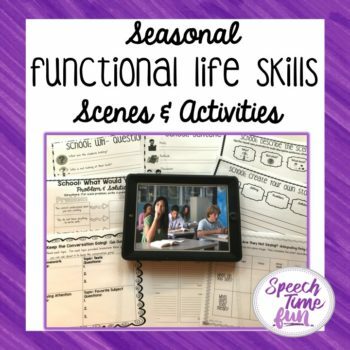 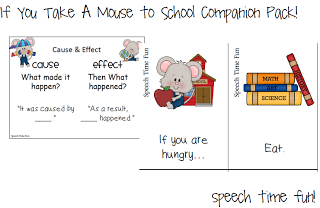 Use these activities with the book, If You Take A Mouse To School by Laura Joffe Numeroff. 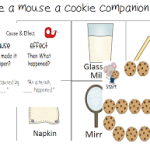 -Sequencing Cards: Big version can be used as large visuals while telling and retelling story. 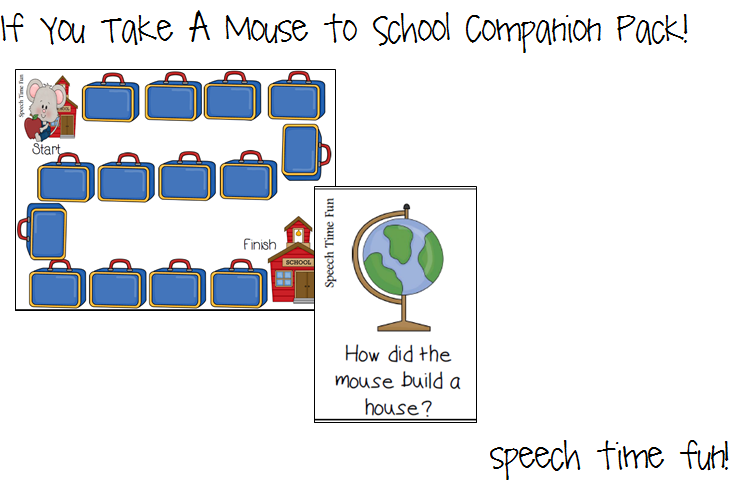 If you print two copies of this version, students can play memory matching games with the vocabulary. 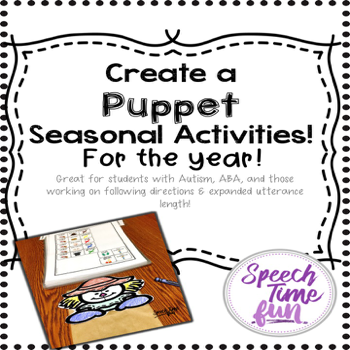 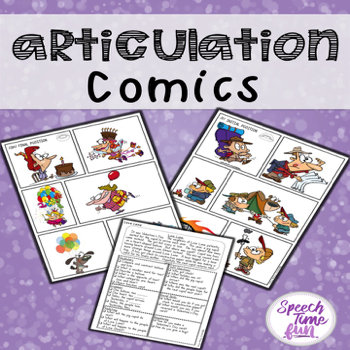 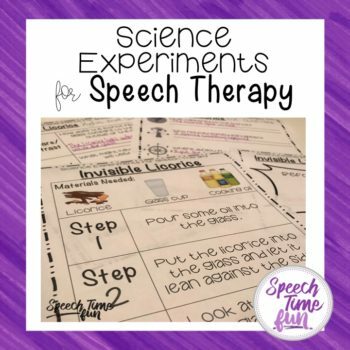 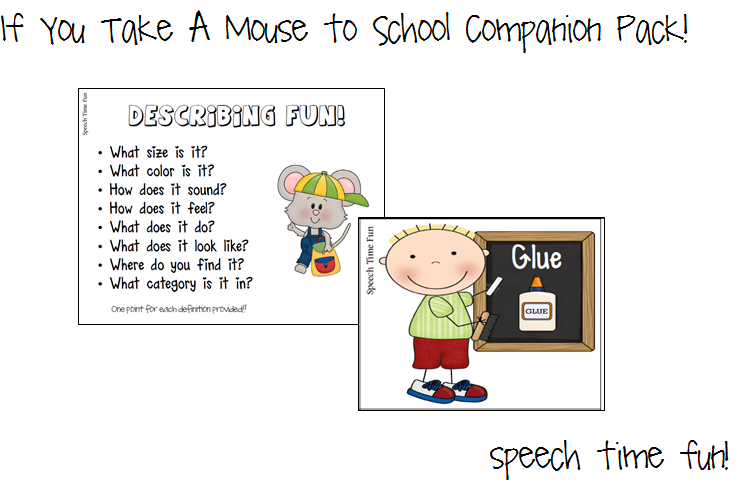 Small version can be used for sequencing on construction paper or a paint stick. 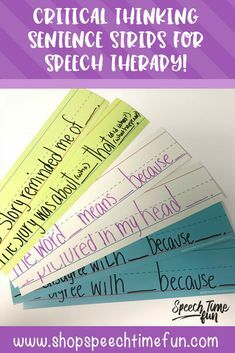 -Sentence Strip: Use with sequencing cards. 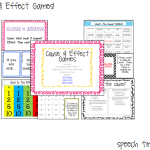 -Cause-effect Matching Cards: Students must match the causes and effects from the story. 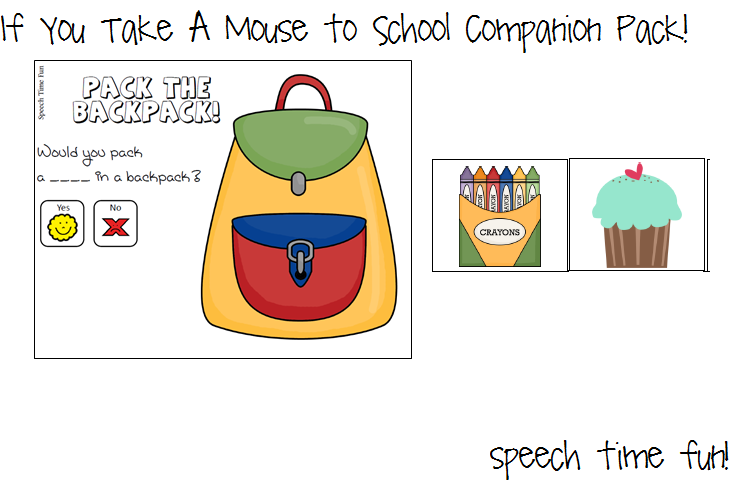 Can use as a memory matching game. 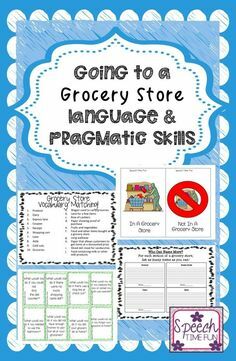 Visual is provided as well! 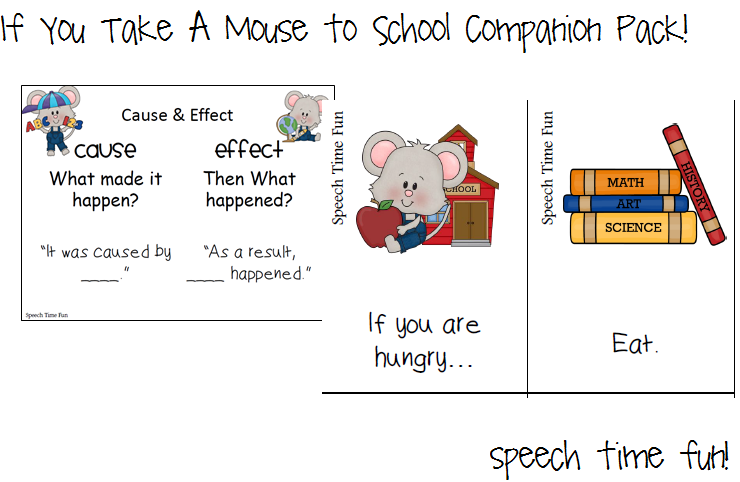 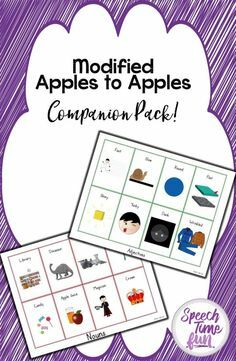 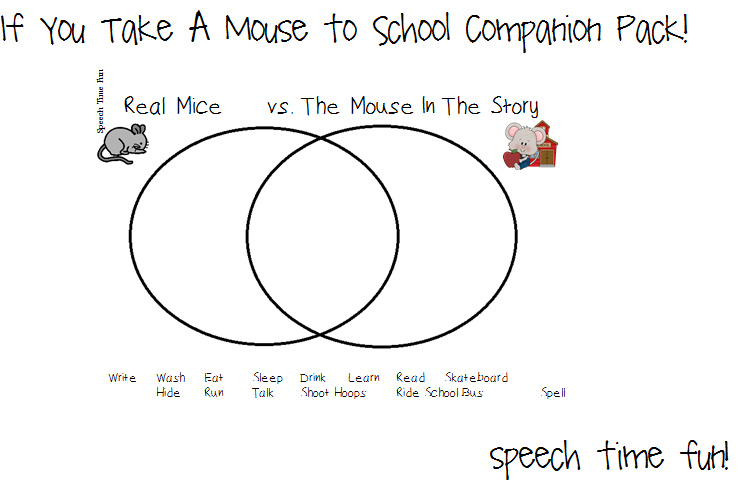 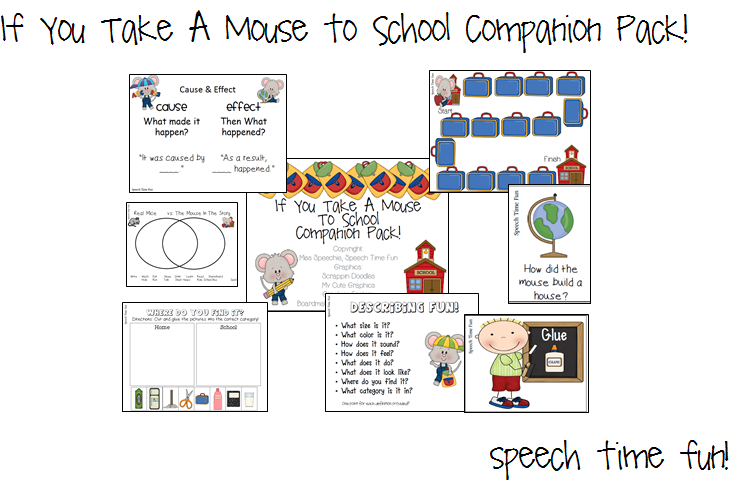 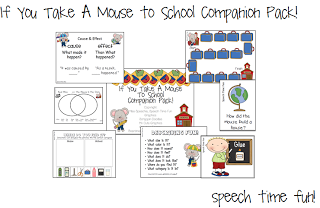 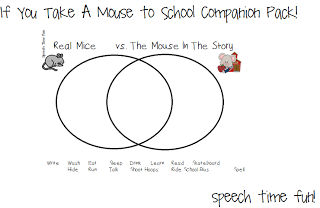 -Compare/Contrast Worksheet: Venn Diagram to compare/contrast a real mouse vs. the mouse in the story. 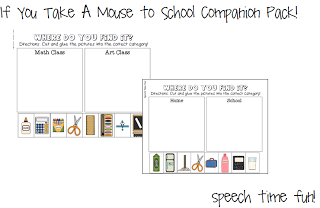 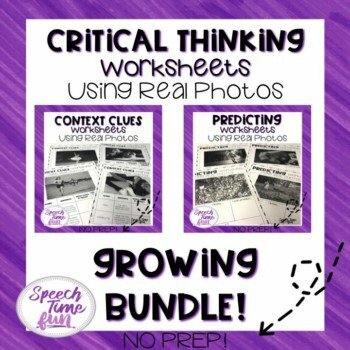 -Comprehension Board Game: Students can practice their recall and comprehension skills on the task cards to move across the board game. 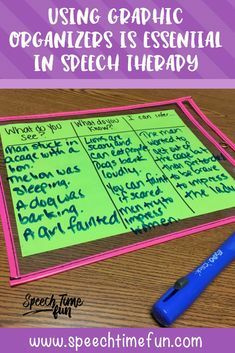 Various question types are used for practice. 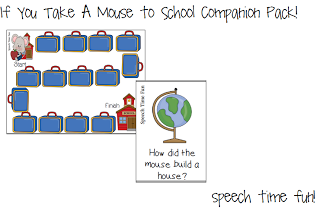 Answer key is provided as well. 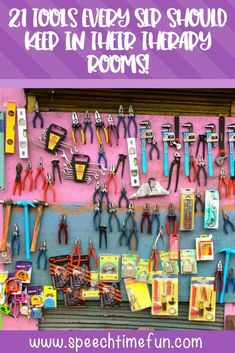 -Where do you find it? 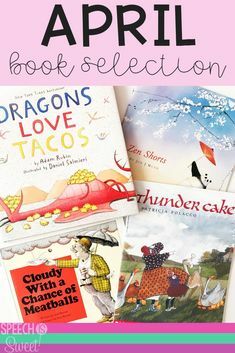 Sorting pages: Sort the picture into the correct category based on where you would find the items provided. 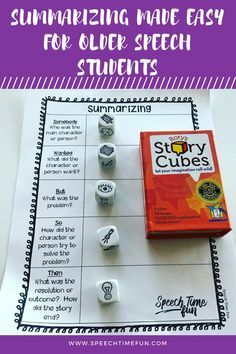 -Let’s Describe Card Game: Vocabulary based on story/school theme. Students will be provided with a visual to assist them. 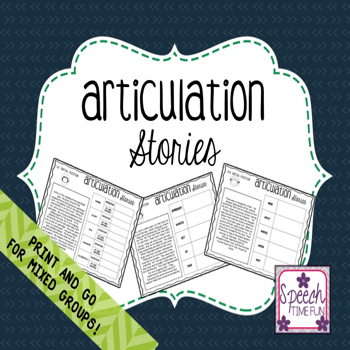 For each description made, students will earn a point. 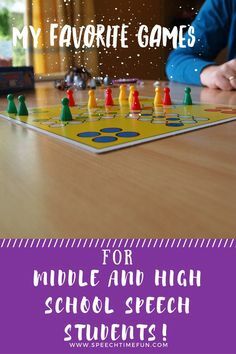 The student with the most points at the end of the game is the winner. 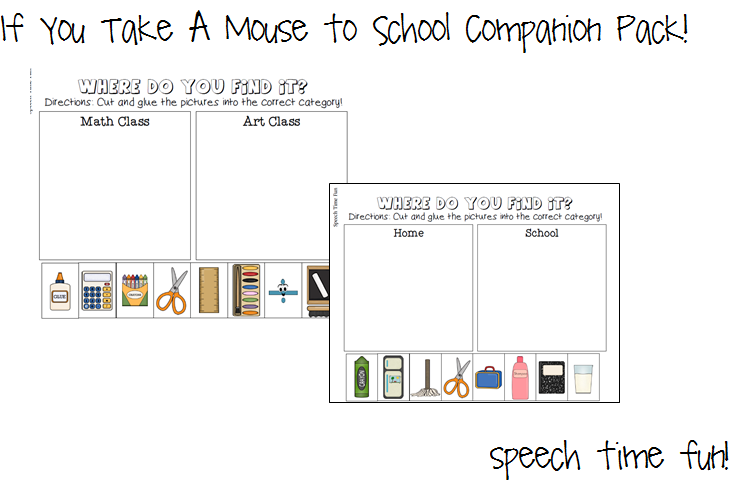 -Category Say & Color: For each item in the picture, students must say the category label before coloring the picture. 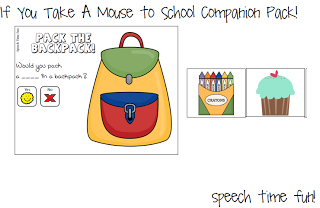 -Pack The Backpack: Print and laminate the backpack page. 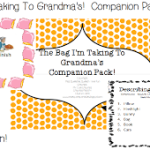 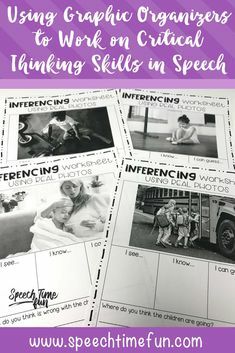 Print and laminate the “packing pictures.” Use the sentence strip on the “Pack The Backpack” page to work on following directions and asking/answering yes/no questions. 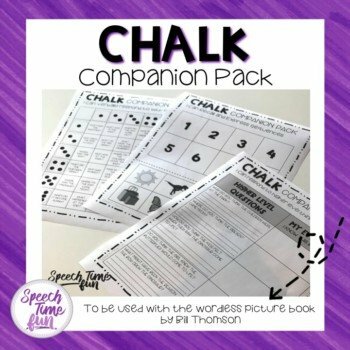 You can access this companion pack in my TpT store by clicking HERE!